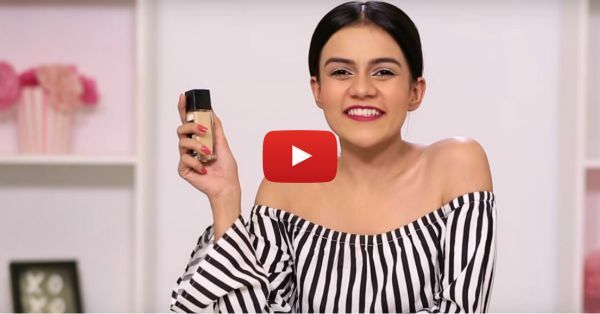 3 Awesome Foundation Hacks EVERY Girl Should Know! Did you know that there are multiple ways to use a foundation?! If no, then, this video is for you! These three tiny hacks will not only help you get that flawless look , but you will also discover which shade compliments your skin tone the best! What You Will Need : Foundation, moisturiser, beauty blender, lipstick, pocket mirror, makeup brush. Difficulty Level: Easier than clipping your fingernails. :) Watch the video now!!! Are you one of those girls who likes to have a natural and weightless finish of foundation on your face?! If that’s a nod, you must know of this popular hack! Step 1: Pour a bit of foundation on the back of your hand, and mix it with a moisturiser. Step 2: Using your fingertips, gently apply it over your face. Step 3: Use a beauty blender to dab the product into your skin to give it a flawless look. Also watch: POPxoDIY: How To Perfect Your Water Marble Nail Art! #Hack 2: Foundation for your lips?! Have you noticed that when you buy a particular lipcolor, it looks different on the packaging and different when you apply it? That’s because, just like your face, your lips too need a base. Step 1: Take some foundation on your brush and apply it on your lips. Step 2: Once that’s done, go ahead and apply your favourite shade of lipstick. 1..2..3.. Pout! Also watch: 4 Magic Beauty Hacks With… Aloe Vera!